In this tutorial you are going to learn the simple process to link eBay and PayPal accounts which can make buying and selling easier. 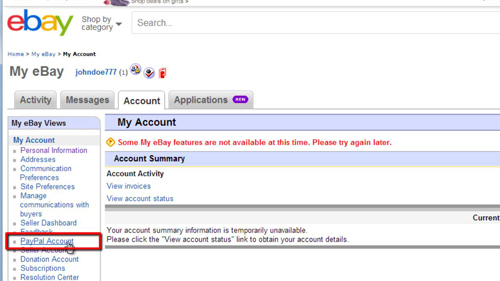 Go to eBay and make sure that you are signed into your account. At the top of the page click on “My eBay”. 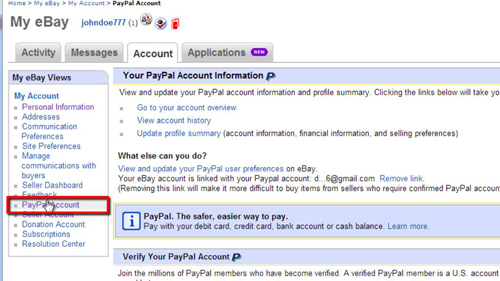 On the page that loads click on the “Account” tab and then on the left click the “PayPal account” link. On the right several options will load and you need to click the “Link My PayPal account” button. A new tab will open and you will need to enter your PayPal details and click “Link my account”. On the page that loads simply click “Return to eBay”. You will go back to the account section of eBay and click on the “PayPal account” link on the left again and you will see that information about you PayPal account appears on the right. That is how to link eBay and PayPal accounts.